Typically, the headache affects one half of the head, is pulsating in nature, and lasts from 2 to 72 hours. Associated symptoms may include nausea, vomiting, and sensitivity to light, sound, or smell. The pain is generally made worse by physical activity. Up to one-third of people with migraine headaches perceive an aura: a transient visual, sensory, language, or motor disturbance which signals that the headache will soon occur. Occasionally, an aura can occur with little or no headache following it. Migraines are believed to be due to a mixture of environmental and genetic factors. About two-thirds of cases run in families. Changing hormone levels may also play a role, as migraines affect slightly more boys than girls before puberty, but about two to three times more women than men. The risk of migraines usually decreases during pregnancy. However they managed to identify some major causes which really affects this condition and they are always ready to advice the patients on these platforms to get recover from the megrim. If you are a person suffering with migraine, then it is always recommended to follow proper diet according to your health condition. The reason is, some of the food types have a good possibility to increase the risk of migraine and you must always try to avoid such risks. 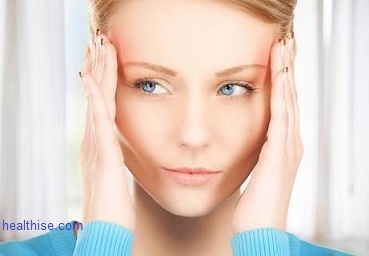 As example, if you are taking the foods which are much salty, then you are in a high risk of the migraine and it is always advisable to control such foods. So if you manage to control the risky foods accordingly, then you are getting a good chance to stop the migraine fast. This is another factor which generally involves with the risk of migraine, as some people really get sick with environmental changes. Since we cannot change the environment and the weather, it is always recommended to control yourself. Yoga and the meditation is the best example to control yourself and you will be able to control the migraine as well. As these methods directly involve and interpret with your mind activities, you can stay calm in your mind. Also it will be an additional support for your day to day activities, as you can do your works more efficiently and be concentrated as well. So it will be a great point for your successful life. Stress also plays a major role on this scenario, as if you are person with overloaded work, then you are exposed to a higher risk of migraine. Considering all these facts, most people look for ways to release stress, particularly by means of yoga. With no doubt, it is defined to be the best medication and of course a good solution for your overall health. However you will have to practice them regularly to get the best results from the procedure. Also you will be able to get prevented from migraine in an efficient way. According to the researches made on the particular event, most people have confirmed that they managed to control their stress by this method and it works perfectly too. This is another factor which is bind with the migraine, as some people follow their day to day activities which are not regular with the others. As example, some people do various things all the day and they spend a very few time for sleeping. Since they are not getting a proper sleep, it will be a reason to get this migraine. You must sleep at least 6-8 hours per day. Also it is not better to work whole day without taking any rest and it will double the risk of migraines. Since you are interested in controlling migraine, it is recommended to read and understand the above information properly and you will be at a good point to recover from the migraine. How Men Can Get Desired Women! Every now and then I’ll get random blind spots in my eyes. It’ll look like either just a blur that hold no color or black/white lines freaking out. It starts off small then gets bigger and bigger then finally after 10-30 minutes it gets smaller then goes away. The first time this happened was a few years ago and never really comes up much, but recently it’s happened three times in a two month span. I have a cold and I want to know once and for all what causes the various symptoms. 1. What causes a scratchy throat? 2. How can my nose be stuffy and runny at the same time? My nose will run constantly yet still be stuffed up. 3. What causes all the sneezing and coughing? 4. What causes the headache? I feel lousy right now. Thanks in advance for all your answers.